Medical Conditions Edwin is an alcoholic. Distinguishing Characteristics Native American male. Brown hair, brown eyes. Edwin is a member of the Colville Indian tribe. His left eye was lost in an accident and he misplaced his prosthetic eye prior to his disappearance; he may wear an eye patch. His nicknames are Ed and Eddy. Edwin was last seen in the Alice Flats HUD Sites in Keller, Washington on April 14, 1991. He was in the company of one woman and three men at the time. He has never been heard from again. Edwin lived alone at the time of his disappearance and had a history of dropping out of sight for a few days at a time, so his loved ones were not initially concerned when they could not find him. His sister reported him as a missing person several weeks after his disappearance. Prior to his disappearance, Edwin served a prison term for robbery. He was known to use marijuana and cocaine and he associated with drug dealers. Because of his lifestyle and other indications, his family believed from the beginning that he met with foul play. In December 2005, James H. Gallaher Jr. was indicted in federal court for Edwin's premeditated murder. He and Edwin are cousins and are both members of the Colville Confederated Tribes. Gallaher occasionally allowed Edwin to stay at his home in Keller, Washington. He has a criminal record for theft, assault, robbery, sexual assault, drunk driving and weapons offenses and has spent extensive periods of time in prison. In May 2007, Gallaher confessed to Edwin's murder in open court. Gallaher stated Edwin splattered on Gallaher's baby daughter while urinating in his living room. Gallaher punched him in the head afterwards and broke his neck; he claims Edwin's death was unintentional. In May 2009, Gallaher pleaded guilty to involuntary manslaughter in Edwin's presumed death. He was sentenced to six years in prison; with credit for time served, he is expected to be released in three years. The original first-degree murder charge would have carried a life sentence. 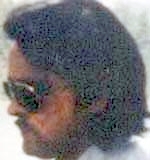 Edwin's brother George disappeared in 1988, over two years before Edwin did. The cases are not believed to be connected to one another, however. Although his remains were never found, foul play is suspected in Edwin's disappearance due to the circumstances involved. Updated 6 times since October 12, 2004. Last updated May 3, 2009; details of disappearance updated.